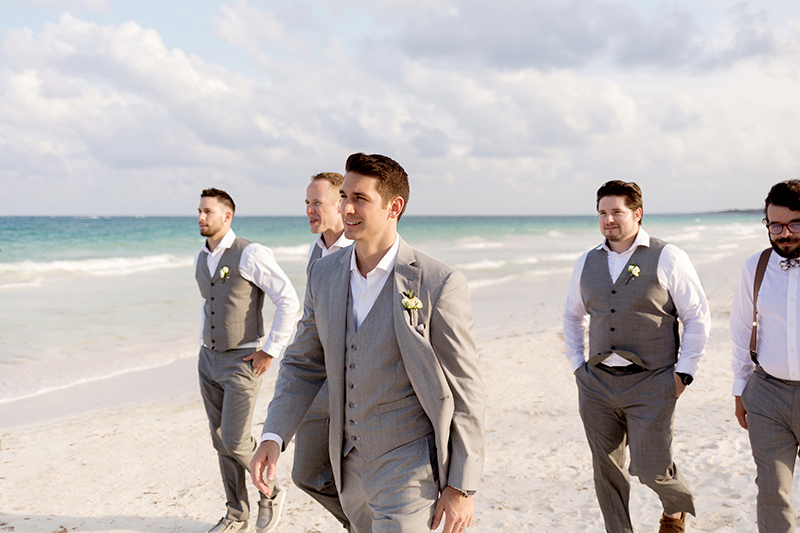 How to Stay Cooler on your Wedding Day - For Men. If you are concerned about the heat and humidity on your wedding day and find it hard to handle then this article is for you. When I first moved down to Mexico to photograph weddings from, I found it so hot and humid that I was sweating a lot and here are a few things I learned quickly. 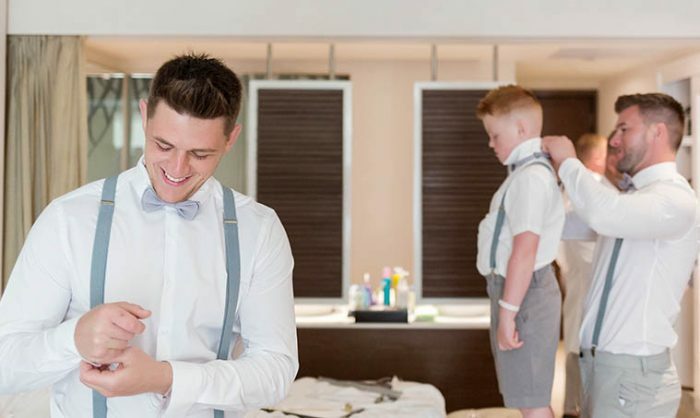 White is by far the best colour for a dress shirt for your wedding when you are going to be sweating. If you wear a darker colour, then not only will the sweat show but also once the sweat dries, you will likely have sweat stains. However, with white, you can only notice the sweat up close and when it dries, you will not see the white sweat stains from the salt that comes out of your skin. As a result, I wear a long sleeve white dress shirt to every wedding. 100% Cotton is the Way to Go. At first, I was not looking at labels when buying shirts and then one day someone introduced me to how much cooler it was to wear 100% cotton. I swear even a 5% blend of something synthetic will make me 5-10% hotter. It’s a bit crazy, but 100% cotton is by far the best to stay cool when photographing a wedding. And yes, 100% linen is equally as good at keeping you cool, but I find that linen wrinkles a lot, so I stick with cotton. And a few guys have told me there are a few other blends of shirts that are synthetic and equally as cool as 100% cotton, but I have not tried them as I’ve already found something that works. Wearing a fitted shirt is especially important for wedding photographs so that it does not come out around the waist. So please if you don’t normally wear a fitted dress shirt, look for one that works well for you. And one brand that I really like is Brooks Brothers. Their shirts are tailored incredibly well and they have several different styles for different body types. And if you cannot find a brand that fits you, I suggest getting one tailored or custom made. I hope what I have learned when moving here to Mexico helps you so that you can have a more enjoyable wedding. And as always, if you have any questions, please feel free to email me at info@deansandersonweddings.com. And don’t forget to talk to the father of the bride about these same issues, as we want to make sure he is looking great as well.